Description: Sexes similar. 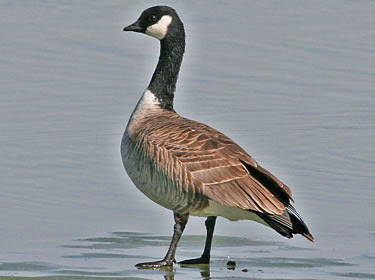 Medium sized to small goose. 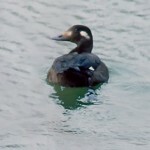 Adults and immatures have black head, with bright contrasting white patch on cheeks and chinstrap; body light tan to brown breast feathers with brownish back; undertail coverts white. 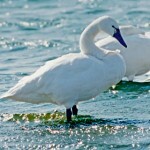 Habitat: Migrant birds are found on large marshes, lakes or reservoirs, and nearby grain fields. 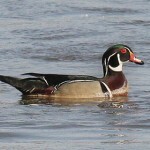 Where in Nebraska: Common in spring and fall migrant.